Categories: Body Care, Face Care, Lip Balms, Popular. Tags: cracked hands, dry skin, hand cream, lip balm. Handier than sitting next to someone who can fly a plane when the pilot has just died. Handier than a tranquilizer gun when being chased by a rhino. Yes, even handier than a swimming pool down below when you’ve slept-walked off an 18th floor hotel balcony. 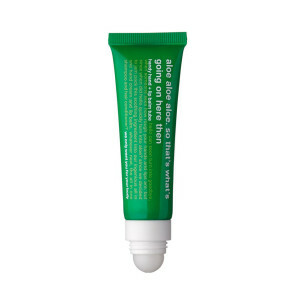 This combination product averts 2 beauty disasters (dry hands and dry lips) in a single tube. You’ll be glad of it one day. Maybe not when you’re in a plummeting elevator, but definitely one day. It’s cold out there, really cold. This is the kind of winter weather that damages your delicate epidermis no matter how well you cover up. Add to that all the hand washing we are supposed to do to prevent catching colds and flu, and you have a recipe for rough knuckles, cracked fingertips and sandpaper skin. If you find you are continuously licking your lips because they feel rough, dry and chapped, there is a possibility that the “stick” you are smearing on them might be adding to your winter woes. Many products contain sunscreen, which can be sensitizing for some people. Others have menthol, camphor or phenol, which can temporarily cool and anesthetize the lips, but can later lead to redness or drying in susceptible people. 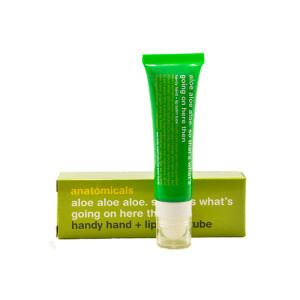 So, what’s the solution for dry, cracked fingertips, sandpaper skin and dry lips? Below is the perfect solution for all this!